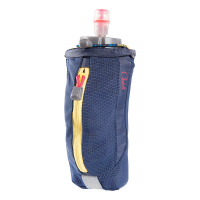 The Ultimate Direction Clutch Bottle is designed to be easy and accessible, for a quick grab-and-go means of hydration. Lighter than the 2.0 Race Vest but with more capacity, the AK Mountain Vest 3.0 is the answer to staying fueled, hydrated and prepared for whatever you might encounter on the trail. The Ultimate Direction Fastdraw 600 water bottle has one goal and one goal only: make it as easy as possible to stay hydrated and keep pace. Its ergonomic design makes that goal a reality. When you're running trails, bagging peaks or hiking, the Ultimate Direction Fastpack 25 pack offers a comfy, vestlike fit and front access pockets for a water bottle or storage. Perfect for trail-running, peak-bagging and day-hiking adventures, the Ultimate Direction Fastpack 35 pack offers a comfortable, vestlike fit and front access pockets for a water bottle or storage. With just the right amount of compression and stretch, the Ultimate Direction Groove Mono belt holds what you need and stays steady as you move, replacing chafing with comfort. Keep hydration handy without bouncing and chafing, thanks to the Ultimate Direction Groove Stereo belt with bottles. Its mesh dual compression waist delivers a secure, breathable, jostle-free fit. Enjoy advanced comfort and easy hydration on your trail runs and races with the Ultimate Direction Jurek FKT vest. Scott Jurek's personal design input results in a superlight, super clean design. Put on the Ultimate Direction Peter Bakwin Adventure Vest 3.0 and comfortably carry up to 1.5 gallons of water over mountains, across deserts and wherever else your trail-running adventures take you. 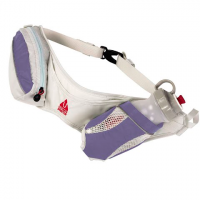 Updated with more accessible storage at almost half the weight of previous models, the Sj Ultra Hydration Vest is a trail-runner's best friend for self-supported long runs or ultras. With updates that shave weight and boost convenience, the Ultimate Direction TO 3.0 race hydration vest has up-front storage and an open back that promotes airflow when you're charging uphill. 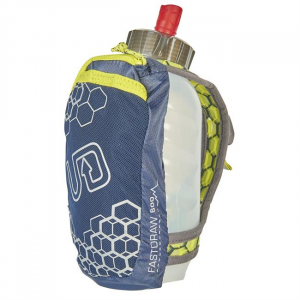 Keep your cool on long-distance training runs with the Ultimate Direction hydration pack, which comes equipped with plenty of pockets for stashing your stuff, plus a 2L reservoir. Comfortably pack plenty of water and accessories while you run with the women's Ultimate Direction Ultra Vesta hydration vest.